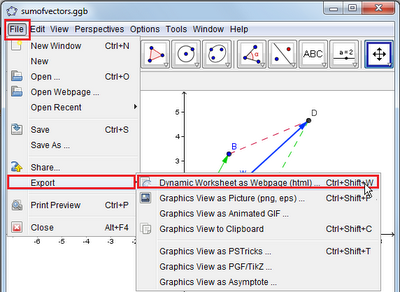 It is possible to export a GeoGebra worksheet as an HTML web page. HTML webpages can be uploaded in websites as a stand alone page. 1.) Open the GeoGebra file that you want to export as HTML. 2.) Select the File menu, click Export, and then click Dynamic Worksheet as Web Page(html). 3.) In the Dynamic Worksheet Export dialog box, select Export as Webpage tab. 4.) 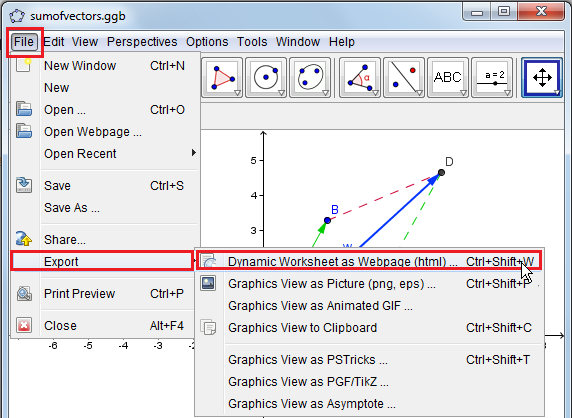 In the Export as Webpage tab, type the title of your worksheet in the Title text box, and then click Export when done. This will open the Save dialog box. 5.) In the Save dialog box, type the name of your file and then click the Save button. Saving the file will automatically open the HTML on your browser. The private IPs can be used in a network, and no two devices in the same network can have the same IP address. If any such thing happens then it is 192.168.1.254 Login as their default IP address. It is used in a private IPv4 network address as the router. Find the login and password for your device at 192.168.0.1. We will help you get into your router or other devices on your network. It will be cool for me to try this tutorial. I appreciate your help.